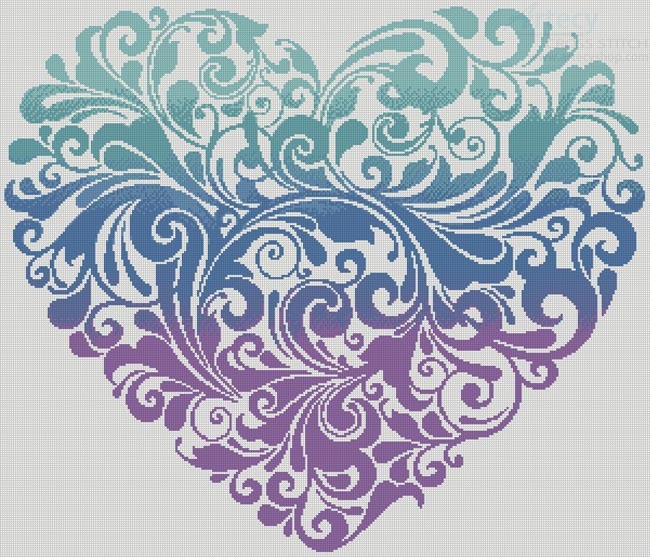 Artecy Cross Stitch. 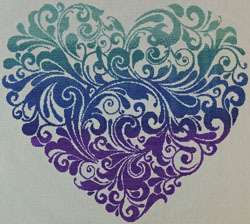 The Purple Blue Green Heart Cross Stitch Pattern to print online. 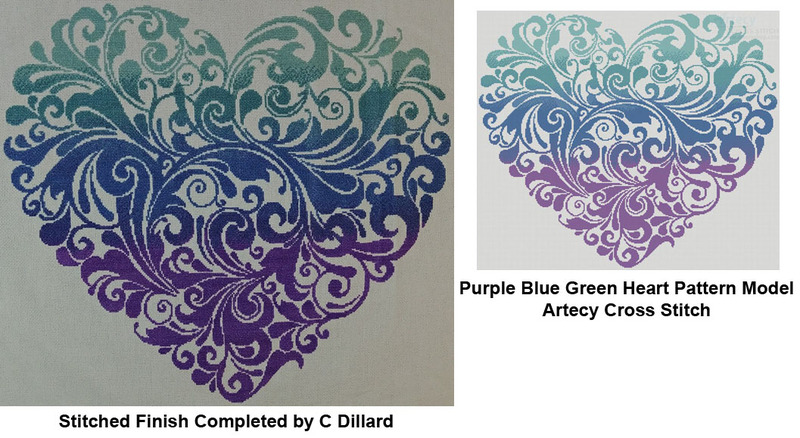 This counted cross stitch pattern of a Stylized Purple Blue Green Heart was created from artwork by On Focus - Vector Stock.